Philips Selecon has launched a new pricing initiative that will put its industry-leading PL1 range of LED luminaires within the reach of all lighting professionals keen to use them. Selecon's PLfresnel1, PLprofile1, and PLcyc1 LED fixtures are now available at prices more associated with their conventional counterparts. "This is a hugely ambitious initiative," explains Philips' senior sales manager Grant Bales-Smith. "The Philips Entertainment brands have been selling LED luminaires for a number of years, but we have found that they are often perceived as expensive when compared to traditional lighting tools. This has put some of this exciting technology out of reach for those who are keen to work with it. Our aim is to bring future pricing levels forward and offer them to our customers today." "The PLfresnel1, PLprofile1 and PLcyc1 are all LED lighting tools, which operate in a familiar way to our industry respected traditional tungsten fixtures, yet benefit from the advantages LED offers including: low power consumption, no lamp replacements, greater creative flexibility through the RGBW light engine and less heat and wasted energy," continues Bales Smith. "These benefits have long been discussed amongst lighting professionals. By bringing pricing within the current funding mechanisms and budgets that our customers are used to, the operational advantages and lower cost of ownership become more tangible benefits. They are now as affordable for school and amateur dramatics as they are for rental and professional theatre. We expect this to encourage a higher and faster adoption of LED across the entertainment lighting world." Luminaires included in the pricing initiative comprise: The PLcyc1 LED Luminaire, which delivers a smooth, even beam and seamless blending of intense washes of colour. 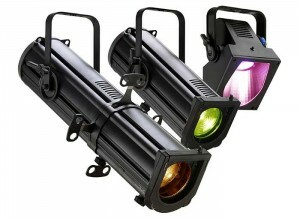 It is ideal for cyc lighting, even in tight spaces. Equally effective in the spectrum of the subtle pastel colours as it is in the saturated hues, the PLcyc1 uses LED source technology combined with a properly shaped asymmetrical reflector to deliver consistent light distribution without the need for performance compromising vertical or horizontal spreader lenses. Similarly the PLfresnel1 LED Luminaire is already renowned for its colour rendering, not only across the colour spectrum but also for its warm and cool whites. The PLfresnel1 delivers an adjustable beam with a soft edge that is easily blended with adjacent beams to provide an even wash across a stage. 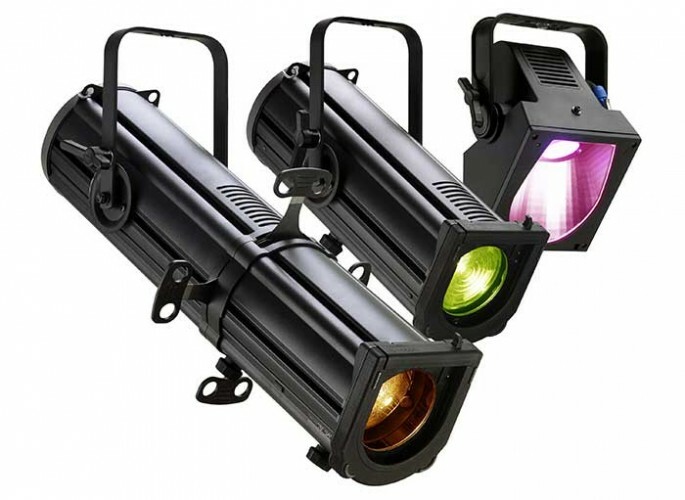 There are no irritating colour shadows, ensuring these fixtures are ideal for theatre, small studio, and display lighting applications. And finally the PLprofile1 LED Luminaire is a variable beam profile with precise beam control and pattern projection. An innovative combination of LED source technology and precision optical design means that the PLprofile1 can deliver Philips Selecon's industry benchmark projection quality in a compact, robust LED luminaire. "At Philips Entertainment we are committed to real world lighting solutions from incandescent to LED luminaires," concludes Peter Borchetta, product marketing manager for Philips Entertainment. "As ever, our commitment extends past the creation of better lighting tools and directly to our customers. In order to aide in the continued exciting evolution of creatively flexible, energy efficient LED lighting solutions, Philips Selecon is delighted to be able to announce these new cost savings on the PL1 range of our LED offerings." The price reduction is available now and is a permanent change.